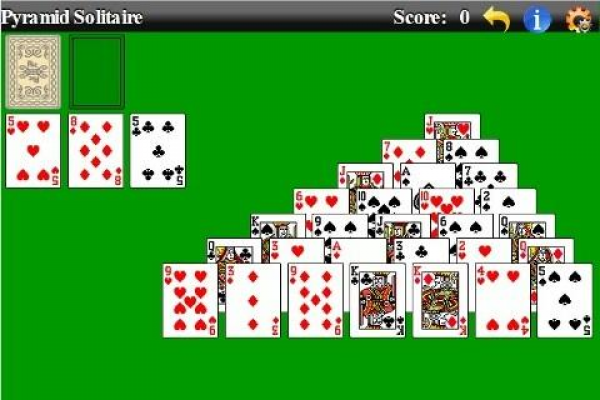 Click here to claim Pyramid Solitaire. Your goal is to clear pyramid of cards by creating combinations of 2 cards that add up to 13. 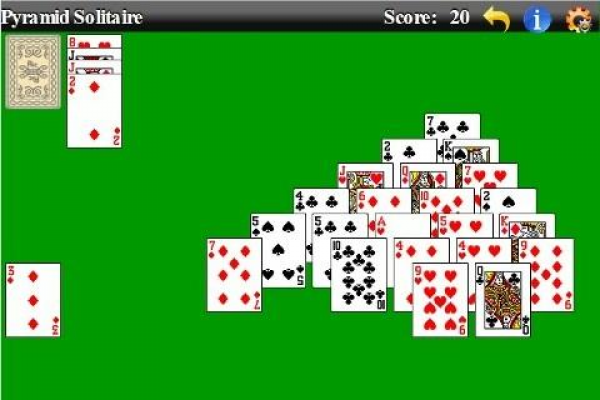 Pyramid Solitaire is played with a 52-card deck. First, 28 cards are dealt into a pyramid, starting with one card at the top. The pyramid has 7 rows, and the number of cards equals the row position. Each card covers the one on its upper left and upper right (if there are cards in those places). The remaining 24 cards are put in the draw pile. It is possible to put the top card from the draw pile to the discard pile(s), but not backwards. Only the top card of each pile and the exposed cards in the pyramid may be used to make matches. The remaining cards are placed to the side face down. 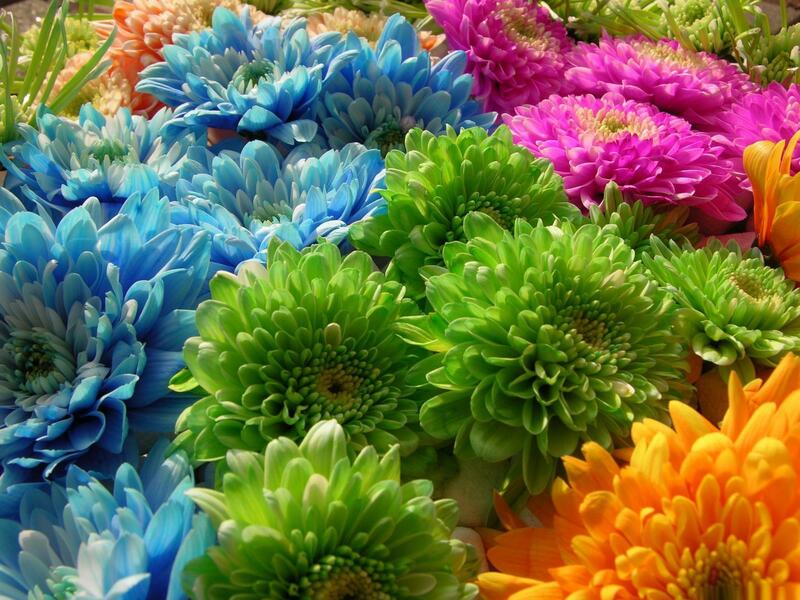 This is the Stock. To play, pairs of exposed cards can be removed to the Foundation if their values total 13. 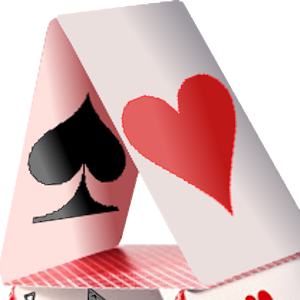 Aces count as 1, Jacks – 11, Queens – 12. Kings count as 13 and can be removed on their own. All other cards count at their face value. Cards must not be covered. Thus when an Ace rests on a Queen, that Queen can not be removed. While playing "Temp Store" mode, one card at a time however can be moved to temporary card store (next to stock) to increase your options. You may draw cards from the Stock one at a time and match it with any exposed card. Each time the set is removed the score is increased. Once pyramid is cleared extra bonus is awarded. The bonus is increased if all the cards were discarded. The score is proportional to the number of consecutive won games and/or game level. 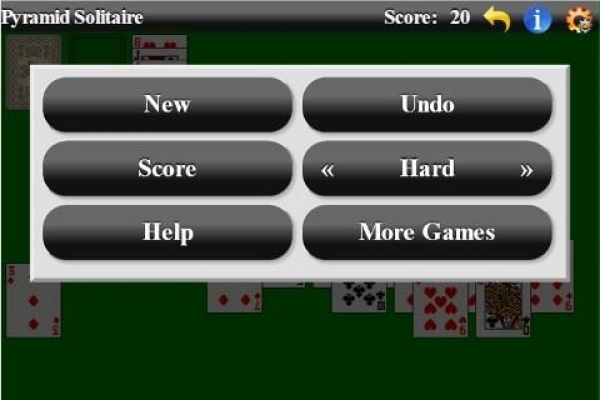 Download Pyramid Solitaire from these app stores today.